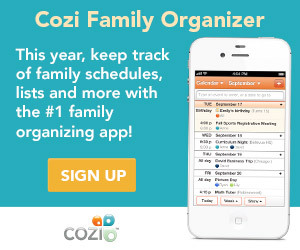 Welcome to the Plan-and-Organize-Life.com Newsletter. I hope you enjoy getting the newsletter and that it helps to keep you on track with your organizing goals. Remember, you can get a lot done in only 10 minutes of decluttering and organizing! Hello! So, did any of you do a mind dump? How long was your list of things you want and need to get done? Did you take care of most of the tiny quick ones? Did you grab a few bigger ones and put them on your weekly list of tasks? Do you need some help with time management? I sure do! I need a focused way to get more done during the day. You can read more below about what I'm learning. The weather is warming up and school is winding down. Time to get those outside projects done, including the garage. This month’s organizing mission is an important one to my husband and I this go around. When we moved in here last September, we threw boxes on the horrible shelves that the last owners left. Nothing fits well and we’re not quite sure where everything is. Time to pull those out and get the garage in better order! Does your garage need to be decluttered and better organized? To read more about May’s monthly mission, click here. If you’re in a hurry to put some order back into your home, perhaps Mimi Tanner's unique method will give you that jumpstart. 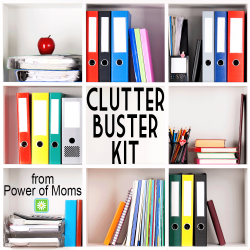 Check out her method at Declutter Fast: How To Get Your Home In Order Almost Immediately. Here are some pertinent pages on the website you may have missed along with any new pages. Organize Your Cleaning Supplies - Get your cleaning supplies sorted and organized so you are ready to clean when the moment strikes you (or not). Garage Organizing - Take advantage of the spring weather to get outside and clean out your garage! Declutter the excess stuff and put everything else in its place. Home Filing System - Get your papers in order with these guidelines for a home filing system. Know what to keep and what to let go. Morning routine - Make your morning go smoother by planning ahead for your day. Meal Planning - Plan ahead for meals to reduce trips to the grocery store and save time. Time Savers - To help streamline your life, here are some daily time savers. I’m hoping you did a mind dump and you have a long list of things you’d like to accomplish, some small things, some bigger, some that are quick, some that will involve a lot more time and energy. I definitely have a long list. But I’ve been noticing, I can make all the lists in the world but it doesn’t ensure that they get done. Though I’m looking to start working again outside of my home, I’m currently still blessed to be at home during the day while the kids are at school and Hubby is at work. This means I have TONS of quiet time to get a million things done, right? However, I find that having more time does NOT equal productive time. I have NO shortage of things that need to be done around the house, like the regular daily stuff, errands, home improvement projects, and some fun stuff. Embarrassing as this is, here is how my day goes… Hmmm… what should I tackle on my list? Nothing really calls to me. Let me just check my email and then I’ll just get to that list. (Emails… Facebook) Ooh, it’s time for lunch. OK, after lunch I’ll get to those things on my list. And though things eventually get done, if not today, maybe tomorrow or the next day, I certainly don’t feel very productive. I have realized that I have no plan, no focus, and no accountability. (Although, Hubby does point out when certain things don’t get done.) I can procrastinate away a lot of the day and then run around silly trying to catch up, or just bump things to tomorrow. Repeat daily. Have an unproductive week. Feel bad for not getting much done, especially when I have the gift of time that so many don’t when they have to work a full-time job. What I’m saying here is that time management isn’t my specialty. More so since the kids have gone off to school during the day. I need to have a plan of attack for my day. And one that includes both the more enjoyable things I need to do, as well as the less enjoyable ones. I will admit that my husband has encouraged me to use time blocking for several years now, but I have ignored him. I thought I knew what I was doing. Time blocking isn’t a rigid schedule, as much as it is a plan for how you intend to focus during your day. If you block off an hour to work on cleaning chores, or pay bills, or go for a walk… that’s exactly what you focus on for that hour, nothing else. You will get to the other stuff during its time block. This gives you the freedom to focus on one thing at a time. It also allows you to stop when you’ve reached that hour (or whatever time block you’ve allotted). You will also schedule in a little fudge time to make sure you don’t ruin the whole day if you run a few minutes late on a task or something goes upside down with your day. Of course, you still need to schedule any appointments or calls that require a specific time to be sure you are not late. Since I’m not the expert here, but a student, I will refer you to some time blocking articles I feel will be of value to us on this adventure. Depending on whether you work outside the home, and what kind of job you have, you can time block your work day to make sure you stay focused at work. If you work at home, you will probably benefit even more by blocking off time to focus on tasks and ward off distractions. Here is just a sample of things you might time block if you’re a person at home during the day. The articles say that it takes a little time to learn how to use time blocking to best suit your situation. So let’s try it out and see what works best for us. Let’s see what we can accomplish when we schedule it into our day and stay accountable. If you have any suggestions, please drop me a line and let me know!